House of Fiberglass - If it's Fiberglass we fix it! Serving the Coastal Bend since 1973, The House of Fiberglass is Corpus Christi's oldest, largest and best-equipped fiberglass repair facility. 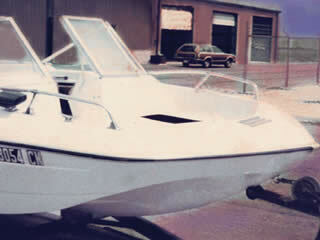 We repair boats, recreational vehicles, campers, Jet Ski's - anything made of fiberglass. We have decades of experience in all aspects of fiberglass repair and can say with complete confidence - If its fiberglass, we can fix it! Locally owned and operated by Don and Diane Cooper, the House of Fiberglass is your complete fiberglass repair facility. We are committed to quality craftsmanship and personalized service. We take great pride in a job well done, and with over 3 decades of experience, you can be confident that you will receive excellent, reputable, and reliable service from our well trained and dedicated staff. Your satisfaction is our number one priority. 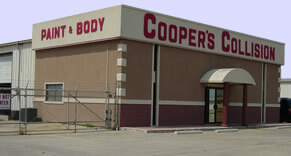 The House of Fiberglass is located in the Cooper's Collision Auto Body Shop - a complete auto body collision repair facility. 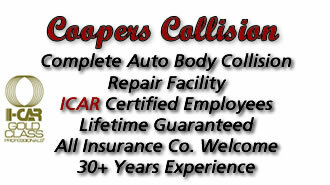 Hiring only ICAR certified employees, you can trust that your vehicle is repaired by experienced technicians well trained in all aspects of collision repair. And just like House of Fiberglass – all work has a lifetime guaranteed.